I recently watched a movie on Netflix called Freakonomics, based on a book of the same name by Steven D. Levitt and Stephen J. Dubner, one specific portion that caught my attention was the connection they made between Abortion and Crime Rates. 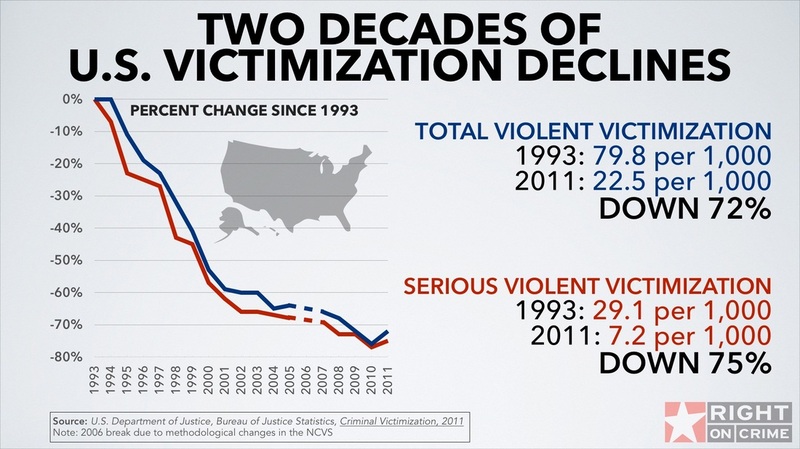 In the late mid to late 90’s in the United States we saw the beginning of what became a sustained decrease in crime rates throughout the country. In each state, the leadership posed a different cause. For example, some Senators and Governor’s claimed it was different police policies. Some said it was related to changes in prison rules, others credited things like the Three Strike rule, and some even claimed it had to do with the rise of Organized religion. The economists in this movie (or book) were not satisfied with any of these answers, simply because they were not consistent. Sure, New York had a new police policy, but San Diego didn’t have that policy, and also saw decreases. In fact, every major city in the country saw a decrease in crime. So the economists looked deeper into the statistics. What changed that effected everyone? One thing they discovered was that crime rates among those under the age of 25 had decreased dramatically, while those over the age of 25 remained relatively flat. So they looked at things that may have occurred during the lives of the 25 year olds that did not happen in those of other 25. One thing they found consistant, was the case of Roe V Wade in 1973 which effectively legalized Abortion in the United States. They believed that since people could now legally abort a pregnancy, less children were being raised in homes that were not prepared for children, so the likelihood of being born into a stable household increased, since families could now delay a pregnancy until they felt they were ready to have the child. Anyway, I thought this was an interesting connection that they were making, and was curious on people’s opinions on this. Do you think there is a connection between legalized abortion and crime rates? If not, what caused the decrease in crime? I’d love to hear your opinions, but I know the topic of abortion can be a hot button issue, so if you decide to comment please take a deep breath and try to communicate without getting too heated, anyone that comments in an aggressive, accusatory, confrontational, or disrespectful way will be deleted, I’d like to have a healthy discussion here, not a flame fest.